All-inclusive vacations are meant to be hassle-free: you pay up front and while you're there your biggest concern is avoiding sunburn. In reality, though, all-inclusive vacations may bring some nasty surprises. To make sure that you have a great time, you need to do some research before you put your money down. Here are some factors you should consider when choosing an all-inclusive vacation. Mexico has destinations to suit all ages and interests. Before you decide to buy an all-inclusive vacation you should consider your options. Look into Mexico's most popular beach destinations to decide which one will best suit your needs and interests. What Type of Vacation Do You want to Take? All-inclusive resorts in Mexico are often geared toward a specific crowd. If you're traveling as a couple you may not want to stay at a resort that's over-run with children. And if you're traveling as a family, you want to be sure the resort you choose has plenty of activities for the youngsters. Also, consider the size of the resort -- do you want to stay at a huge resort with thousands of rooms, or do you prefer a more intimate setting? Food, drinks, and accommodation are generally included in the price of an all-inclusive vacation. But what about services, activities, and outings that are offered by the resort - are these included in the cost or do you have to pay extra? Beware of hidden charges, like "resort fees" that may be added on to your bill. Tips are sometimes said to be included in the price, but you may find that most people tip anyway. Will You Be Spending All Your Time at the Resort? If you won't be spending all of your time at the resort then you should consider transportation. Does the resort offer shuttle service, or will you have to pay for taxis? How far is the hotel from the nearest town? If you want to take excursions outside the resort, be sure to choose a resort with nearby attractions. 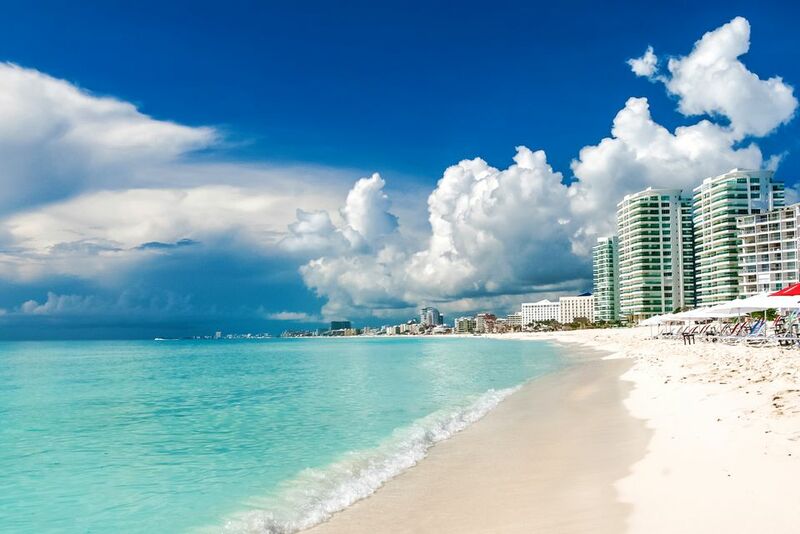 For example, options for day trips from Cancun include water parks, nature reserves, and archaeological sites. Mexico's weather does vary somewhat throughout the year, with some months hotter than others, and some months rainy. Also, consider hurricane season which runs from June to November. You shouldn't necessarily avoid taking your beach vacation at this time, but you should definitely ask whether the hotel you choose has a hurricane guarantee and consider buying some travel insurance. Be sure to read plenty of reviews of the resort you've chosen before you make a final decision. You'll find plenty of hotel reviews on this site, (just type in the name of the hotel in the search box at the top of the page), and on sites like Tripadvisor that have traveler reviews. Be sure to read many reviews to get a consensus - not everyone will enjoy a hotel, but if the majority of people do, that's a good sign!